This is one of the simplest ways of making an FM receiver. 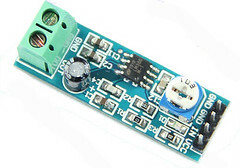 Just get a low cost FM receiver kit, make an audio amplifier using LM386, connect them together and your FM receiver is ready. Most of the commercial FM receiver kits receive the signals within the FM band, usually 88-108 MHz. This project is for novices who can make projects on breadboard. 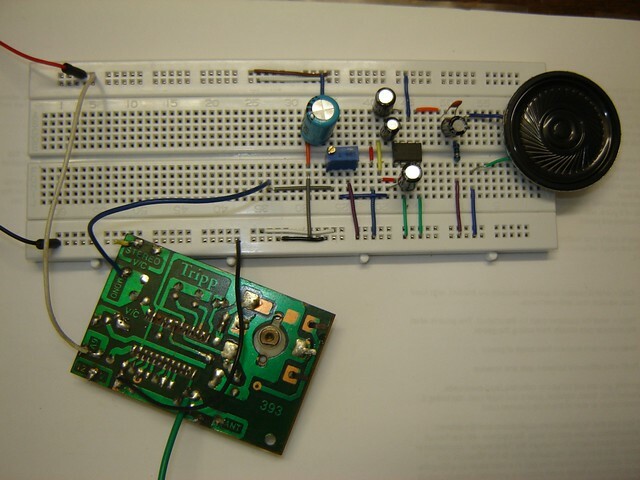 If you have never made an Audio amplifier, please try this: LM386 on breadboard. The tutorial shows you all the connections. The FM receiver kit usually comes with 4 wires: +6V, GND, Antenna and Audio. You need to connect the ‘Audio‘ wire to the ‘input’ pin of the audio amplifier circuit. 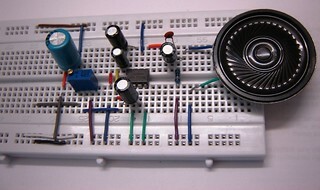 A low cost LM386 based Audio Amplifier is available on www.buildcircuit.net. You can use the Amplifier module for your project. Can you please explain where and how we should connect the 4 wires in the FM receiver kit??? When you buy the kit, the seller should give you the instruction manual also. Usually, there are four wires, one should be red that is connected to +ve terminal of battery then second should be black that is connected to -ve, then third one is to be connected to the input of LM386 audio amplifier and the last is antenna wire which is not connected anywhere. I don’t think it will be easy to an FM receiver, because you are just studying in school and making an FM transmitter won’t also be easy. I recommend you to buy FM receiver kit and make an audio amplifier yourself. While school, make simple and easy projects. If you start with difficult projects, you will soon quit electronics.